Gwangju is located in the south-west of Korea. You can arrive here by train, bus or airplane. 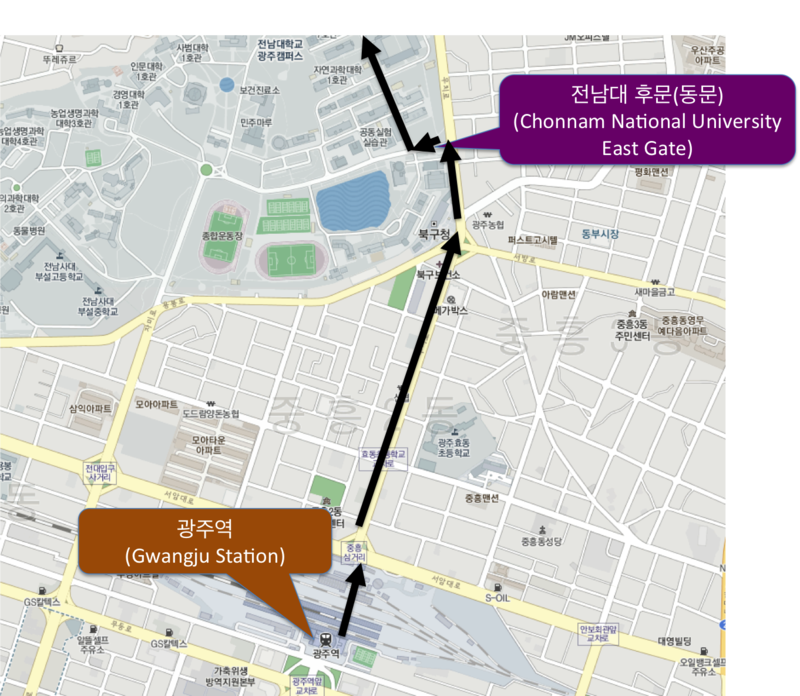 Here we would like to describe the way to Chonnam National University east gate from several place. We would like to recommend to grab a taxi, it will take about 40 minutes. By Walk : about 25 minutes to the gate, please look at the map below. From U-square terminal, you can grab a taxi. It will take about 20 minutes. From Gwangju airport, you can grab a taxi. It will take about 30 minutes.